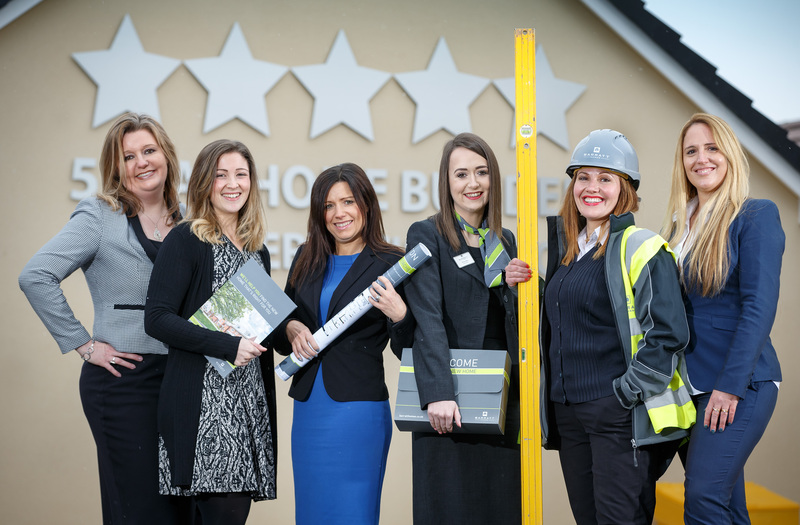 The five star housebuilder is proud of its diverse workforce, and actively encourages women to build successful careers within construction. “In the past, our industry has been largely dominated by men but that is fast changing as we look to recruit the very best talent – and gender just doesn’t come into that decision process,” said sales director, Richard Lawson. Senior sales manager Paula Weston-Dimond has worked with Barratt in South Wales during a career spanning 22 years. “I ensure the sales team achieves its targets – and maintains the highest level of customer service,” said Paula. “Originally, I worked part time as a sales adviser because the hours suited my lifestyle at the time. The route to my current job took a lot of drive, determination and commitment. “As a woman within an industry that has traditionally been male-oriented, it has taken a lot of hard work to get recognition for my skills. Times have definitely changed now though. I believe you should recruit the right person for the job – regardless of their gender. Rebecca Roberts is a site manager and has worked at Barratt Homes for the last five years. She credits hard work and determination for her success and says she really enjoys transforming a plot of land into a home for buyers. Claudia Schiavo is a marking executive and has been working with Barratt in South Wales for more than five years. “I’m mainly responsible for digital marketing and communications here – including generating leads through our website,” she said. “I had the incredible opportunity to join the company at just 18, and it was a wonderful way to gain experience and study for my marketing degree. For Hollie Lewis, the role of sales adviser is her first within the construction industry: “My job is to sell homes – but it’s also about being ‘the face of Barratt’ and taking our customers on this very exciting journey of purchasing a new property,” she said. “I’ve always been interested in property – in fact a previous job involved kitchen sales. Then, after buying two homes myself, I realised it was something I’d like to be more involved in. “Handing over the keys on completion day, and knowing you’ve made a real difference to their lives by helping them get into their new property, is the most rewarding part of my job. “I’ve always worked within male-dominated industries, so I don’t notice it. Possibly men and women have different skills sets and I believe a more even mix of these within the workplace could lead to new ways of learning and adapting. Women can learn from men and vice versa. Suzie Hewitt is sales manager and has worked for Barratt in South Wales for almost five years. With responsibility for delivering sales targets across five construction sites, she enjoys a fast paced, and highly-varied role. “My job demands a strong working relationship with all key departments within the business – from construction and technical to commercial and marketing,” she said. “I have always had a strong work ethic, and am open to experiencing roles within different sectors to broaden my skills. As planning manager, Zoe Aubrey oversees planning applications and site promotions – working with other members of the technical and land teams. “Having worked within the consultancy sector for 15 years, I was ready for a new challenge,” she said. “I like the varied nature and the ever-evolving complexity of the town planning system. And it’s great to be involved in the development process from the start to finish – helping Barratt in South Wales to deliver new places where people aspire to live. For more information about careers with Barratt, visit www.barratthomes.co.uk.